The whales are in the bay! For those of you who haven’t already stopped your cars on one of the numerous cliff-top routes between Cape Town and Witsand in a bid to sight them. 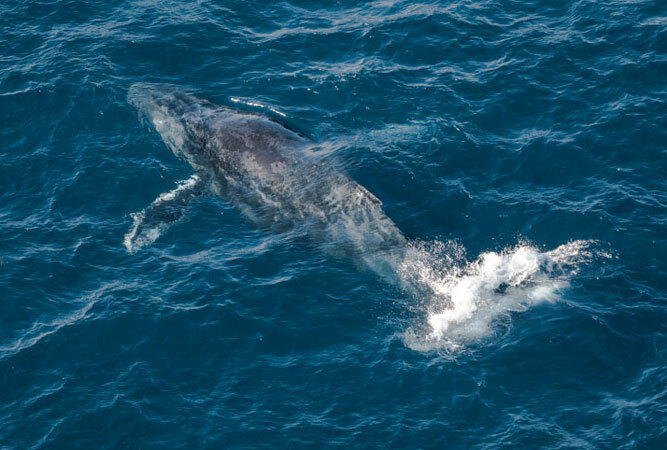 The annual migration to our ‘warmer’ waters to mate and calve of the southern right whale, between August and November, is a phenomenon for which thousands of people head to our shores, for both land-based and boat-based whale watching. The sheer elegance of these massive sea mammals and their spectacular displays of water gymnastics and gentle majesty leave even hardened cynics speechless. But where can you be almost guaranteed a sighting? Head up Boyes Drive, drive along the coastal road between Fish Hoek and Simon’s Town, or along Chapman’s Peak (when it’s open again) and somewhere along the route people will be standing in clumps, binoculars at the ready. Most of the time this indicates someone has spotted a whale and it would be worth a stop to find out. 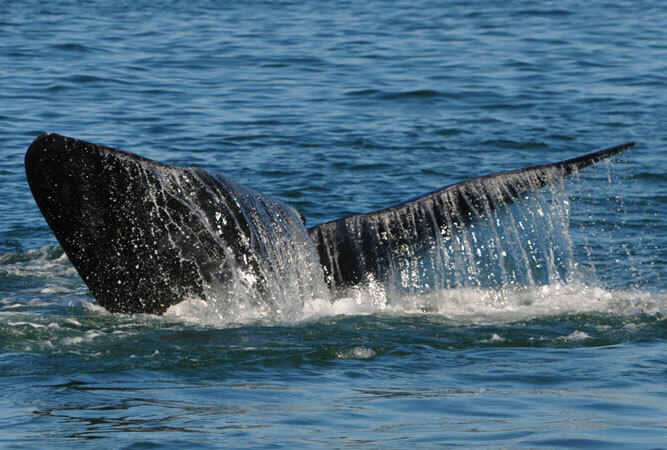 Hermanus is without doubt the best land-based whale watching in the Western Cape. They also celebrate a whale festival between 20 – 24 September, but they welcome the whales into Walker bay as early as August. Gansbaai markets itself as the seaside town that brings you up close and personal to the Big 2 – whales and great white sharks (shark cage diving is its other huge attraction). Witsand and De Hoop are regarded as the ‘whale nursery” of the Western Cape because of the record number of whales sighted here every year (locals mention how just born whale calves are tossed into the air by ‘midwife’ whales to trigger first breaths). Witsand’s custodian devotion to the whales who calve in their bay has made this little seaside village, some hours from Cape Town, one of the best spots for a long weekend at this time of year. The peaceful little village supplies a whalewatching platform on the roof of a local restaurant for the very purpose of sighting whales. Just around the promontory of the bay, De Hoop Nature Reserve benefits from the increased number of whales who head to St Sebastian Bay. Koppie Alleen and Klipkoppie offer unbeatable shore-based whale watching with the added bonus of peace and quiet, almost virgin beaches, and parts of the Whale Trail. 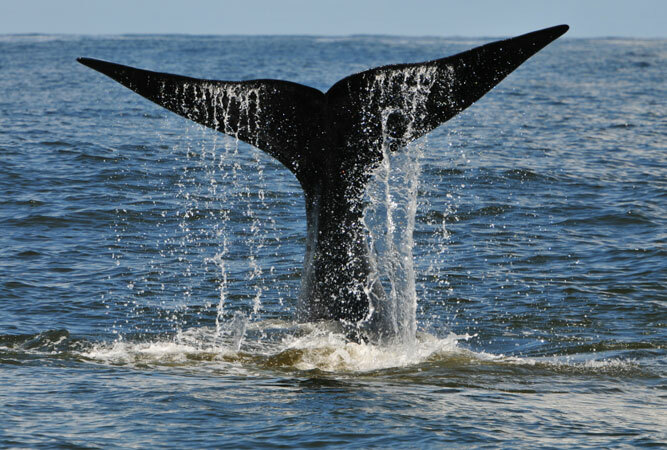 (See more info at Whale watching in St Sebastian Bay).